International Centre for Ocean Development. 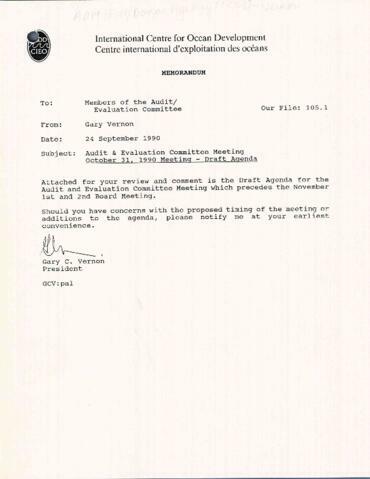 File contains material relating to the October 31, 1990 meeting of the Audit and Evaluation meeting. Discussed at the meeting were internal audits (including a report from the West Africa and Indian Ocean division of the International Centre for Ocean Development (ICOD)), an evaluation plan, the corporate plan, and banking information.